The Autonomous Cultural Centre Metelkova City has walked a long way since the occupation in September 1993. The plans of its creators from the late 80’s whose intention was to establish a self-sustainable centre for art production and presentation have not been entirely fulfilled, but this is nevertheless physically as well as symbolically an exceptionally precious space, where numerous, especially visual artists have found themselves and each other. Lots have been written about the phenomenon of Metelkova City; there have been researches, bulletins, publications, yet nobody has really systematically studied its visual scene. It might have been so because this is not a spectacular aspect of Metelkova City, but actually its hidden part. Party-goers and those who attend the gigs here, the prevailing share of the visitors, are – as a rule – not even aware of the numerous studios hidden above the clubs. The artists of Metelkova City belong to different generations, distinctly heterogeneous in their practices, their means of expression vary right from their outset, some of them are more inclined to fine arts, others to contemporary practice, some of them to spatial design, and others to what we could call craft. That’s why it is difficult to define the visual production uniformly, but Metelkova City dictates specific operational conditions of production that in one way or another affect the actual artistic practice of each individual artist. 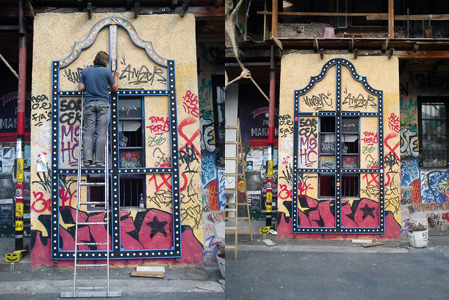 A contributing factor to the above fact is the situation itself, since the studios (even though they are – for a long period of time – obtained through public tenders and not by squatting) still require a skilful hand and personal engagement of the artist for renovation and to set up a work environment fit for use. It is exactly the ability, engagement, and willingness to co-operate that are crucial for the formation of the community of Metelkova City where individuals with practical and conceptual skills contribute their own share also outside their studio. With its program the Alkatraz Gallery does point to the creativity behind the walls of the City, however, it is no longer, like it was at the beginning (in the second half of the 90’s), intended primarily for presentations of the Metelkova City artists, as it has, gradually evolved into a competent contemporary international venue. 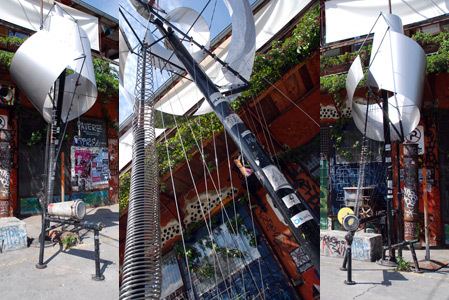 As the Alkatraz team are aware of their specific role and tasks within the frame of the Metelkova City visual community, they have invited the team of the World of Art (SCCA-Ljubljana, Center for Contemporary Arts) to join in the creation of an exhibition-research project of the visual scene of the Metelkova City. Some from this team have been, nevertheless, linked with the team of Metelkova City all the way since its occupation and have collaborated and operated here in various ways, which makes us well-equipped for the job. At the same time, the joint project enables us a more systematic research work that usually gets left behind for the lack of time during the daily work tempo. In October 2011 we began to research the history of the Metelkova City visual scene as well as the current visual production of the ACC Metelkova City. In less than a year, we have visited most of the studios, talked to the artists, and researched the artistic production and its contextual (Metelkova) frame. We are exploring the past, mapping the current situation, creating an archive for the future generations, but most of all, we would like to evaluate the production of Metelkova City within the wider context of the world of art. For the current anniversary we are preparing a mid-stop of the research; establishing a platform presenting the Metelkova City artists, as well as the places (from the more to the less noticeable ones) where the visual production takes place, in an attempt to embrace the entire Metelkova City visual production at all its heterogeneous levels. We have thought up a Metelkova City puzzle, consisting of all possible formats: from exhibitions at different venues, interventions into public space, talks, performances and open studios, with the desire to give each artist an opportunity for a presentation adequate to her/his practice on the one hand, and a look into the artist’s work space and work process to a visitor on the other hand. The research shall be concluded with the study’s exhibition, a publication, audio-visual archive, and a video-essay in September 2013, on the 20th anniversary of the ACC Metelkova City. Thursday, 6 September, 8 pm. Opening of group exhibition: M’ Art, Alkatraz Gallery. 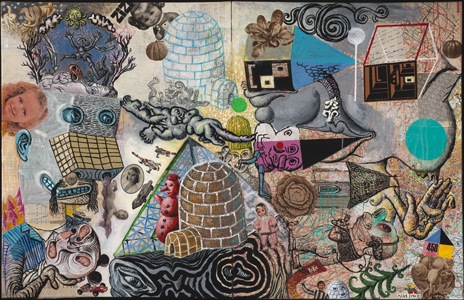 Artists: Edvin Dobrilovič, Tina Drčar, Tomaž Furlan, Damijan Kracina & Vladimir Leben, Miha Perne, Uroš Weinberger. Exhibition will be on view till September 24. Thursday & Friday, 6 & 7 September, 4 pm. Tina Drčar, workshop for children, Let’s paint the rocket, Hajlends park. Thursday to Monday, 6−10 September, 9 pm–11 pm. Marko A. Kovačič, TRAPOLO HH 36, video projection, area between Jalla Jalla, Pešci and Celica Hostel. Friday, 7 September, 6 pm. Urban Fine Art Projects at AKC Metelkova City, guided tour by Nataša Serec, Edvin Dobrilovič, meeting point in front of Celica Hostel. Friday, 7 September, 7 pm. Opening of exhibition: Meta Kastelic, Yellow Submarine, SCCA–Ljubljana Project Room, Metelkova 6. Opening hours: Saturday: 4 pm–8 pm, Monday to Tuesday: 10 am–5 pm. On view till September 11. Friday, 7 September, 9 pm. Opening of group exhibition Made in Metelkova, Bizzarnica at Mariča. 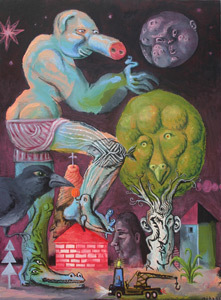 Artists: Rok Barborič, Tina Drčar, Dejan Pfeifer − Stripi, Mirč Matek, Jaka Mihelič, Rajko Miladić, Rok Mohar, Miran Pešič, Belatehnika & Beladona, Terrah. Opening hours: when the club is open and by appointment (phone: (1)434 03 45). Exhibition will be on view till September 25. Monday, 10 September, 12 pm. Breakfast with mayor of ACC Metelkova City, terrace of building Pešci. Monday, 10 September, 12 pm–2 pm. Open studios, buildings Pešci, Garaže, Hangar. 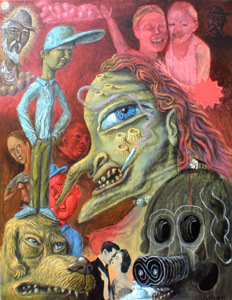 Artists: Rok Barborič, Tina Drčar, Boštjan Drinovec, Mitja Ficko, Dejan Pfeifer − Stripi, Meta Kastelic, Vladimir Leben & Matej Bizovičar & Iskra Beličanska, Mirč Matek, Jaka Mihelič − Katabrank, Rajko Miladić, Rok Mohar, Boštjan Novak, Miran Pešič, Belatehnika & Beladona, Terrah. Monday, 10 September, 9 pm. Mizanthrope Tonfilm: Metelkova Archive, photo and video documentation, Jalla Jalla. Monday, 10 September, 10.30 pm. Neven Korda: Summary of Parallel Worlds. Artistic, Cultural and Political Aims of the Parallel Worlds, studio of Neven Korda, building Hlev. DUEL: Conversation about visual art scene of Metelkova City, awareness of common place, attempt of defining its meaning for specific art practices. Moderator Jernej Kaluža. Infoshop. Borut Korošec, Pacman, 2012, front of Bizzarnica at Mariča. 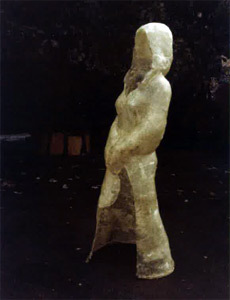 Karmen Jazbec, Lost Image, 2001, door of studio in Garaže. 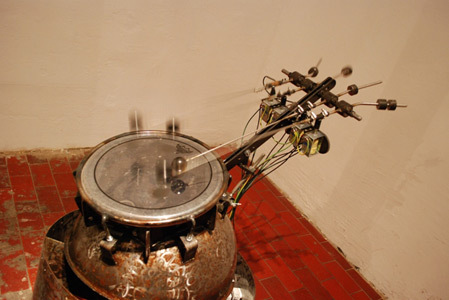 Boštjan Drinovec, Cacophonic Generator MM, 2012, in front of Viktor’s studio in Garaže. Boštjan Drinovec & Primož Oberžan, Wind Harp, 2007, wall of Garaže. Boštjan Drinovec & Primož Oberžan, Zvonka, 2008, in front of Garaže. Artists: Edvin Dobrilovič, Tina Drčar, Tomaž Furlan, Damijan Kracina & Vladimir Leben, Miha Perne, Uroš Weinberger. Edvin Dobrilovič was born on 13 June, 1971 in Koper, Slovenia. After finishing Graphical Design at the High School for Design and Photography in Ljubljana, he enrolled in 1992 on Art Pedagogy at Faculty of Education (University of Ljubljana). In 1993 he started to study painting at Academy of Fine Arts and Design. His professors were Metka Kraševec and Bojan Gorenc. Lives in Bohinjska Bela and works in Metelkova City in Ljubljana. Tina Drčar was born in 1977 in Celje. She graduated at Arthouse – College of Visual Arts (Graffiti and Graffiti painting, tutors M. Butina and T. Mastnak). Between 2001 and 2005 she worked in art tandem with Bine Skrt. Works in the field of murals and art graffiti, prepares different workshops and collaborates with several humanitarian actions. She has created posters for the project Defonija, which received Zlato gnezdo (reward of Liberal Academy). She has exhibited in Slovenia and abroad. Lives in Ljubljana and works in ACC Metelkova City. Tomaž Furlan, born 3 February, 1978 in Kranj. After finishing secondary school I studied sculpture at Academy of Fine Arts in Ljubljana. I’m mostly interested in video and performance but I do not to exclude any art technique which has the possibility to carry the message. I live in and work in Ljubljana, Slovenia. Project Wear was presented on solo and group exhibition in Slovenia and abroad. Such as: solo exhibitions in Gallery P74 and Alkatraz Gallery (Slovenia) and group exhibitions in Slovenia and abroad such as: Book of artist in Slovenia 1966–2010, Kresija Gallery; Videospotting and Videodokument in Gallery 3,14, Bergen Norway 2008; Parallel Worlds, AKC Metelkova Mesto, 2009; Limited acces II, Parkingallery in collaboration with Azad Gallery, Tehran 2009; In the loop: Contemporary EU Video Art, Washington USA (2010); Word for Word, Without Words, City Art Museum, Ljubljana 2010; Manifesta 9, Genk Belgium 2012. For my work I was awarded with Group OHO award for young artists. Damijan Kracina was born in 1970 in Kobarid, Slovenia. Study of sculpture and a postgraduate study of video and the new media at the Academy of Fine Arts in Ljubljana. 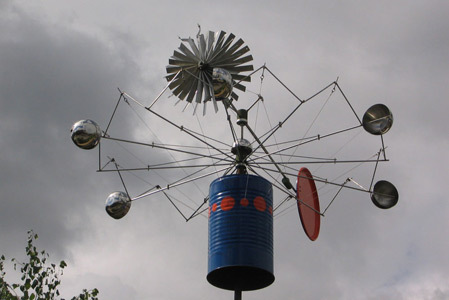 He was the founding member of the Provokart art group, which performed several public art events and projects. He was founder and art director of ARTileria Kluže (1997−2000). He was artist in residency in: Werkstadt Graz, Graz Austria (1998), Studio of Ministry of Culture of RS in New York, USA (2000), Tamarid Institute Albuquerque, New Mexico USA (2002), SFAI Santa Fe, NM, USA (2004). Active memeber of Domestic Research Society. Vladimir Leben was born in Celje in Slovenia on 1st January 1971. He attended High School of Design and Photography in Ljubljana. He continued studies of painting at the Academy of Fine Arts in Ljubljana. His first solo exhibition was in 1991. Since that time he has presented his work with eleven solo exhibitions and has participated in many group exhibitions at home and abroad. In year 2001 he becomes member of ‘Too modern art’ movement. That very same year in September the group presents publicly for the first time in Alkatraz Gallery in Ljubljana. In year 2004 Museum of too Modern Art opens its door in Spodnji Hotič near Litija. Between years 2003 and 2006 he takes an active part as an assistant director and animator in creating of animated film ‘Bizgeci’. He lives and works in Ljubljana. Born April 22, 1978 in Ljubljana. After finishing photography at High School for Design and Photography in Ljubljana he studied one year art history at Faculty of Arts at University of Ljubljana. In 1998 he started to study painting at Academy of Fine Arts and Design (Ljubljana) and graduated in 2004. With Leon Zuodar he founded art tandem BELI SLADOLED in 2005. Works in the filed of painting, graphic and strip. Lives and works in Ljubljana. Uroš Weinberger (1975) graduated in 2003 at Academy of Fine Arts and completed his Master’s degree in Fine Arts in 2005 at the Academy of Fine Arts in Ljubljana. In 2002 he perfected his studies at the Academy of Fine Arts in Sofia (Bulgaria). In 2009 he attended the Slovene Ministry of Culture residence programme in Berlin (Germany). He lives and works as an independent visual artist in Ljubljana, Slovenia. 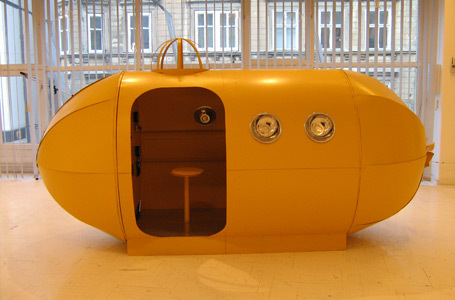 Meta Kastelic, Yellow Submarine, 2008. My name is Meta Kastelic. I was born in Ljubljana April 13, 1962. I graduated on Academy of Fine Arts – sculpture. For my degree work I have received Prešeren award for the best student. Now I am finishing postgraduate study of sculpture. 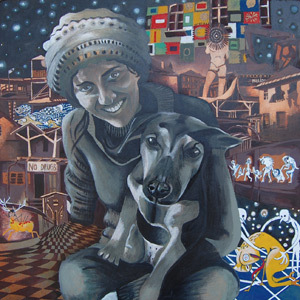 Artists: Rok Barborič, Tina Drčar, Dejan Pfeifer − Stripi, Mirč Martek, Jaka Mihelič, Rajko Miladić, Rok Mohar, Miran Pešič, Belatehnika & Beladona, Terrah. 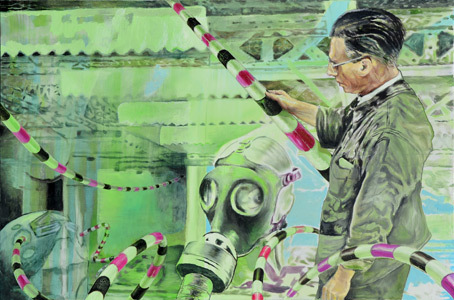 Neven Korda is a videast and a multimedia artist with a lasting artistic practice. He explores the issue of the essence of video as artistic expression and video as a medium. He speaks about the so-called pure video. He started using video in the early eighties, as a member of the theatre group FV 112/15, when affordable video equipment became available at the market. He is co-founder of FV Video, the independent video production which has brought to fruition several artistic, music and documentary video projects. Until the end of the eighties, he was a member of the group Borghesia; he did the visuals for their performances and concerts and he directed their video clips. He was a member of the artistic tandem ZANK with Zemira Alajbegović. In the nineties, he also worked as video editor, author of TV images, director and realiser of projects and TV shows. At the end of the millennium, he converted to research, practice and recording of pure video art. 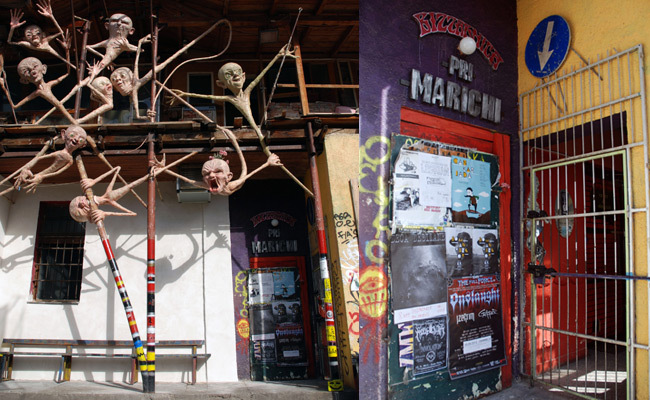 He squated his studio at AKC Metelkova City in 2004. Conversation about visual art scene of Metelkova City, awareness of common place, attempt of defining its meaning for specific art practices. Jernej Kaluža is finishing philosophy and history studies at Faculty of Arts (Ljubljana). He is the editor of redaction for culture and humanistic science at Radio Student. He is interested in contemporary philosophy and writes for student newspaper Tribuna. Borut Korošec was born 1968 in Ljubljana, Slovenia. He finished sculpture at Academy of Fine Arts in 1997 (Ljubljana). In 2006 he finished postgraduate studies at Faculty of Computer and Information Science and Academy of Fine Arts, University of Ljubljana. Lives and works in Ljubljana. Karmen Jazbec was born 1965 in Brežice. She studied awhile art history and English language on Faculty of Arts (Ljubljana). In 1993 she started to study sculpture at Academy of Fine Arts, she graduated in 2001 and completed her Master’s degree in 2001. She is free lance artist and had several solo exhibitions and participated in many group exhibitions. Occasionally she works as art teacher. From 1997 she works in group studio at Metelkova City. Boštjan Drinovec (1973) graduated in 1998 at Academy of Fine Arts and completed his master’s degree in Fine Arts in 2001. Since 2008 he is assistant professor at Academy of Fine Arts and Design, where he teaches sculpture. Artist of ACC Metelkova City.